Compromise: The acceptance of standards that are lower than is desirable. Now, this is a straightforward definition that when applied to my premise, at first blush you may think I am batty. The context of this discussion is motor vehicles, but allow me to explain. In the age I grew up in, vehicles were pretty specialized. We had pickup trucks, station wagons, sedans, coupes, sports cars, etc. With motorcycles, we have sportbikes, cruisers, touring bikes, standards and adventure bikes. In the past 10 years or so I've seen a trend in vehicle design where the lines have been blurred and in the case of cars, I see vehicles that are crossover-stationawagon-suv-minivan-sedan like in design. Look at the new Ford Explorer or Chevrolet Traverse and you will see what I mean. I see some of the same things starting to happen in the motorcycle world. Bikes like the Vstrom and R1200GS are a couple that come to mind. Are they dirt bikes or touring bikes? R1200RT, Concours 14, ST1300 and FJ1300. Are they touring bikes or sport bikes? This trend in design reminds me of politics. Some politicians try to be everything to everyone and therefore cater to whomever they are speaking to at a particular moment. The thing is, the only people that could truly be that way are narcissistic sociopaths. Most people have a particular slant. In a sense, both voter and politician compromise something in the process of achieving some sort of consensus. With vehicle design, it would seem that a swiss army knife approach to design is in vogue. What of it? It seems people want there vehicles to be able to everything capably, if not exceeding well. This is a daunting task as if you were designing a sports car or sport bike, you would have a set of requirements unique to that type of bike: Light, fast, quick (there is a difference), exception handling and exceptional stopping ability. If you were designing a vehicle meant for trips short and long, to have some capacity to carry more than just occupants, you'd have another set of parameters. Comfort would enter the equation, so would storage capacity and fuel range. In trying to merge differing classes of vehicles, there must be compromises made. For instance, in designing such a machine, It will never handle quite as well as a sport bike, but better than a full boat tourer. It will not have the storage capacity of a full boat tourer, but it will be worlds better than a sport bike. The same would be true of comfort. 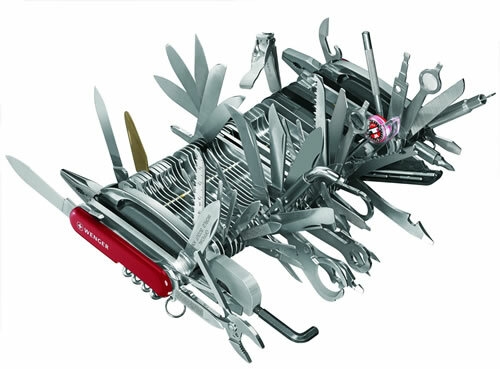 In each case there is a lowering of some standard to make it good enough in the new "swiss army knife" category. Don't get me wrong. Right now, both cars and motorcycles demonstrate unprecedented reliability and performance in most cases. Gone are the days of carburetors, poor charging systems and kick starters, and believe me, one used to follow the other. 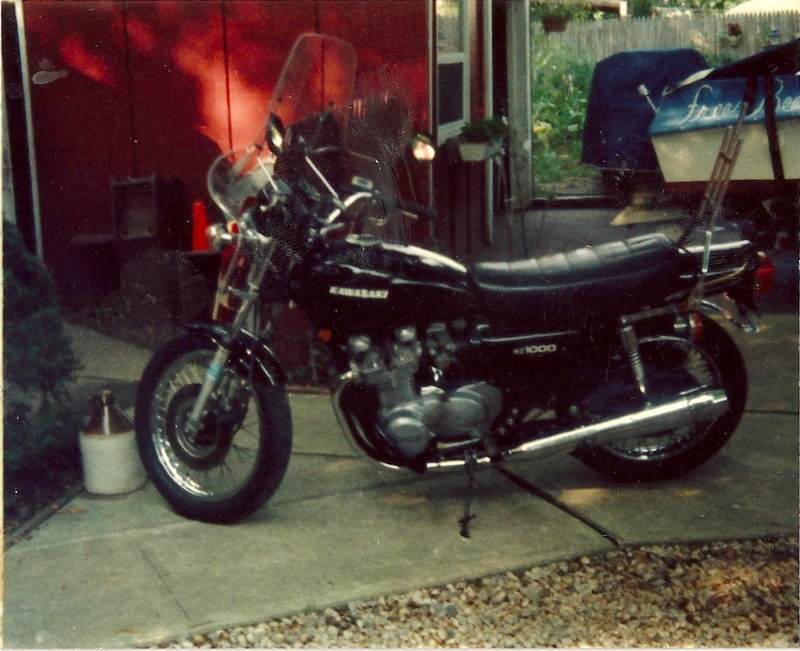 My 1978 KZ1000 had a kick start and I was glad for it. The 2007 Nomad I had and my RT are paradigms for reliability, at least they were and are in the time I have and had owned them. While I think there will be further advances, I believe we are doing pretty good today. 20 years ago, I wouldn't have made that statement. Still, I feel a certain loss. I am the type of person that believes in the purposefulness of my tools. I've never been one for having a 4 in 1 screw driver or one of those multi-size rotating ends box wrenches. I prefer separate examples please. There's always the right tool for the job. So it goes with cars and motorcycles. If I want something to scare me, I'd buy a Corvette or a S1000RR. if i need to haul stuff, I'll buy a regular cab Ford Super Duty F350 or Dodge Ram 3500 with a Cummins, not a Honda Ridgeline or a Chevrolet Avalanche. If I need a Family carrier, it's have to be a Chevrolet Suburban or a Ford Expedition EL, not a minivan nor a 4 door sedan (I hate both minivans and 4 door sedans. Neither were meant for over-sized humans like myself). 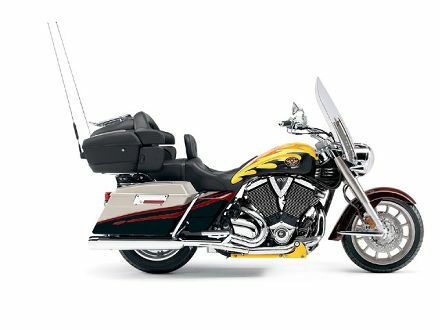 If I wanted a touring bike, I would buy a Gold Wing or a Cross Country Tour. Or would I? The problem in my own theory of purposeful tools is that in order of live that way, expect to spend more cash, not matter if we are talking screw drivers or motorcycles. I can't afford to own more than one bike (I might if someone would pay me to write, but that is another story) and with cars, we just have two, a 2009 Suburban and a 2001 Jetta, which simply refuses to go away. My RT was a compromise, but so was my Nomad. I liked the Nomad. It was an easy bike to own. Not a lot of maintenance and what maintenance there was, it was easy. The problem was it wasn't feature rich with things like cruise control and heated seats and grips. 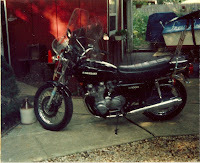 Speaking of seats, even with a mustang seat, it was torture going more than 60 miles on that bike. 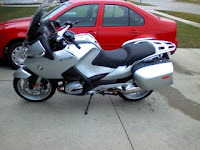 When I looked for a new bike, I had always wanted a BMW. Their reliability is legendary, or so I think it is. I really like the R1200GS Adventure. It is built for someone my size. I can even keep the balls of my feet on the ground when it's on the center-stand. The mistake I made was bringing my wife to look at it. The GSA was outfitted with the optional panniers and my wife commented that they looked like organ donor boxes and she also said that she'd never ride on it, so I got the RT instead. The RT does so many things well. It handles better than I will ever ride, stops like an F-18 landing on the USS Roosevelt, and has adequate acceleration. It came with cruise control, heated seats and grips, computer, a power adjustable windscreen and electronically adjustable suspension. It's an amazing bike. A compromise on many levels, but still an amazing bike. Still, I find myself bored somehow. Is it too good? Does it lack character? Is there anything missing? Sure I'd like more stonk. I'd like a better seat for sure and with the titanium color, if you can call it that, well, it's boring. There I said it. Boring. My Nomad was the girl next door and this is her cousin from Germany that's a lot higher maintenance although she makes up for it in almost every other way. Still, as Eddie Murphy once said, after awhile it's the same old ritz cracker. At this point you are saying, huh? Well, the one thing I get now is why riders of Harley Davidson's like them so much. They aren't the best at anything except may be style and character, which they have in spades. I also understand why squid riders like their crotch rockets. On some level there is no compromise. They buy them for one reason and this fosters commitment. In fact I would say it demands it. I guess it comes down to what is important to you. Is it image, all out performance, long distance travel in comfort or the ability to play in the dirt? I do know that we do have enough choices out there that it shouldn't be difficult to satisfy any taste although I hope the motorcycle industry doesn't fall into the everything to everyone trap that the automotive industry has created. I see signs of it, but we still have a nice selection to choose from. Yes, compromise has a consequence and it's basically a lack of satisfaction. I don't recommend it.